Whether it be fitness goals, weight loss goals, overall wellness, or overall health, we are with you 100% of the way. As an individual that cares about their wellbeing, you surely know that none of those goals are from changing but one thing in your life. Yes, 80% of weight loss and fitness is food related – which we help with – but the other 20% is just as important to work on in order to hit those goals and create new ones! At Boulangerie Des Rosiers, there’s a commitment to use ancient grains and bake traditional breads. We take great pride in working with artisans all over Québec, from farmers to millers even if we mill on site all our whole grain flour. Boulangerie Des Rosiers is the sole bread supplier to La Comida MTL for all our bread needs. This ensures but that the highest quality breads are used for our clients, and anyone who is on a low glycemic diet is able to fully enjoy their meals and bread without hassle. U.N.I. training is the Roots Fitness Centre’s premium fitness facility. We offer top quality services to help you achieve your most rewarding fit. Our professional staff is supported by years of expertise to help simplify and guide your fitness success story. We provide an extensive variety of equipment, services, and support to personalize your U.N.I. training experience. Join the team and find your fit. U.N.I. Training offers a variety of services, including their gym facility and personal training, group classes, sports massage, osteopathy, nutritional consultations, and acupuncture! You can even pick up your meal prep order at both U.N.I. Training locations! 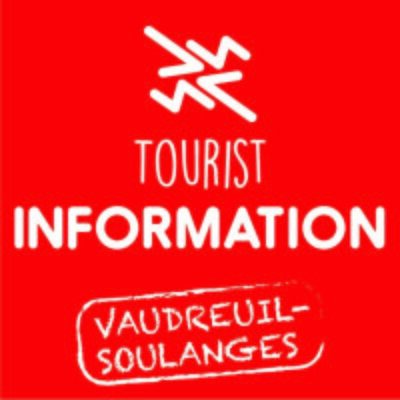 Explore Vaudreuil-Soulanges is the result of an agreement between the MRC de Vaudreuil-Soulanges and its economic development organization to organize the region’s tourism industry. This site allows tourists, citizens, and businesses to discover what to do, where to eat, and where to sleep in this vast and charming region. Promoting Vaudreuil-Soulanges to a diverse clientele while focusing on the region’s tourist attractions. Encouraging local partners and attractions to collaborate on promoting and developing new and exciting projects. Providing a recognized platform to maximize the visibility of regional attractions. Improving the tools used to welcome tourists by providing local businesses with a complete and up-to-date showcase of the region. La Comida MTL provides you with you with our delicious and healthy meals and snacks… but what about the rest? La Comida MTL has partnered up with some incredible local businesses that view health and wellness as we do, and provide you with the expertise that compliments our meal prep services! Our partners are here to help you achieve your goals with more motivation and knowledge than us alone in order to help make you feel incredible, strong, confident and proud. Working together on your wellness will help you change and modify, or simply adopt better habits that work with your lifestyle to achieve your goals.